Jennie R. Santoro, 97, died May 14, 2018, in Sandy Spring, Maryland. She was the devoted wife of the late Ernest J. Santoro. They were married for forty-one years before his death in 1985. Born in Cranston, Jennie was a daughter of the late Marco and Antonetta (Cerrito) Moretti. 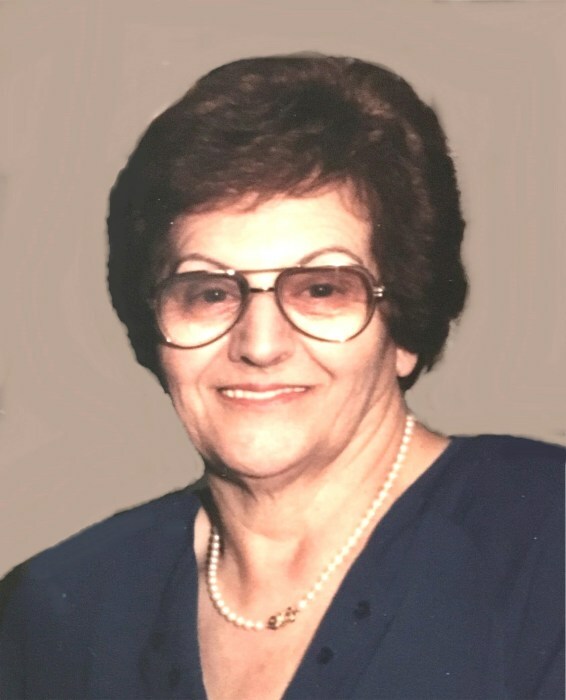 With her husband she owned and operated Ernest Santoro Builders and Allendale Arms Apartments, until her retirement. She is survived by her two sons, Ernest J. Santoro and his wife Connie of Olney, Maryland, and David M. Santoro of Novi, Michigan, as well as her three grandchildren, Tracey Santoro, Trisha Rebello, and Anthony Santoro. She is predeceased by siblings Anthony Moretti, Anna Calicchia, Marco Moretti, and Edith Carlino. A Prayer Service will be held Wednesday, May 23, 2018 at 11 a.m. in the MACERONI FUNERAL HOME, 1381 Smith St, North Providence, RI 02911. Burial will follow in St. Ann’s Cemetery, Cranston. Visitation Tuesday 4-7p.m. In lieu of flowers, donations may be made to the Alzheimer’s Association, Rhode Island Chapter, 245 Waterman St., Suite 306, Providence, RI 02906-5215.